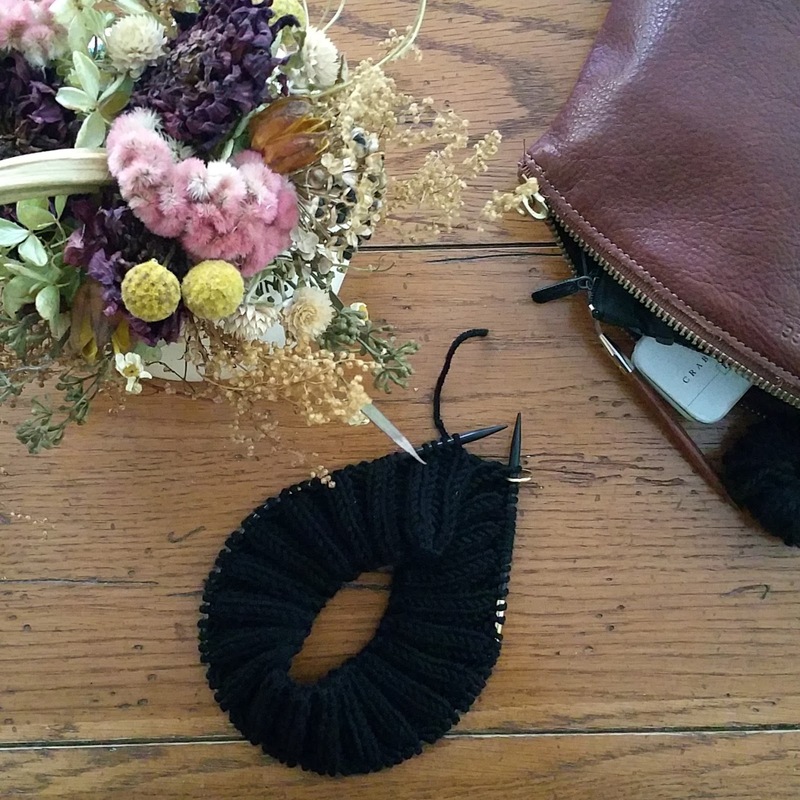 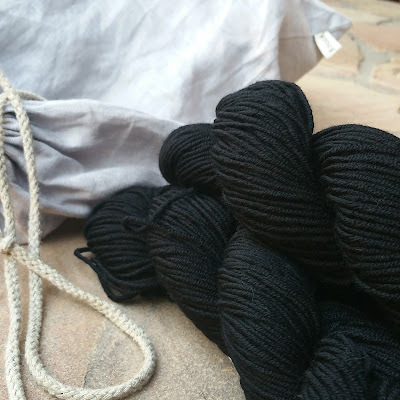 I bought some lovely black merino wool at our little local yarn shop on Wednesday just before I finished my sweater. 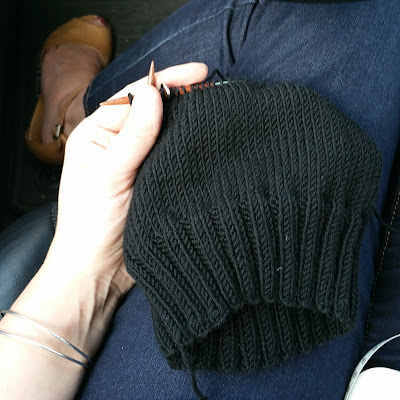 The boys need black hats for their saint costumes for our Saint Michael's party on Sunday and so my fingers must fly. 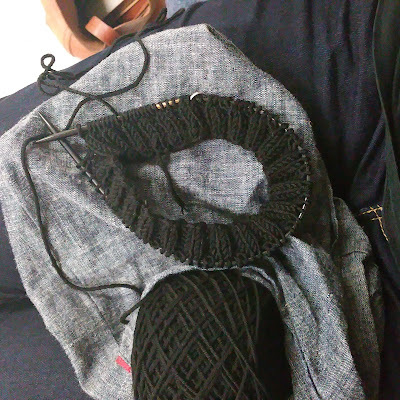 I've already finished one hat while I waited for the children during speech therapy, gym class, and violin lessons. I'll cast onto the second tonight before bed!